Shopify is one of the best e-commerce platforms around. It is an online store builder for small to medium-sized businesses, with all the features you need to sell your products to a global customer base. E-commerce is a fast-growing — and lucrative market — and because of this rapid growth, it’s also a crowded marketplace. Shopify alone has 600,000 online stores. And it is only one of several major e-commerce platforms. To stand out and connect with your customers, you must take a compelling offering to market and ensure your online store is optimized. Fortunately, Shopify is a versatile and feature-rich platform offering e-commerce businesses a full suite of services to build and run a successful online store. Even if you have little (or no) experience running an online store, Shopify’s built-in features lets you set up — and market — a professional, well-run online store. If you use it to run your store, here are a number of tips, hacks, and shortcuts you can use to slash admin time and boost sales in your online store. These Shopify tips & hacks cover nearly everything you need to supercharge your experience with the e-commerce platform. How long will it take for my Shopify store to start making money? Can I buy a Shopify store that’s already making money? I found a Shopify store online that has a cool theme. How do I find out what theme they’re using? What free tools can I get from Shopify? Your online storefront must be eye-catching to attract potential customers. Shopify has over 100 themes you can use to customize your e-commerce site. Shopify templates include free and paid themes and cater to a large range of industries. Even with little to no experience, you can present a professional online store to the world. When searching for a Shopify theme, you can see how other stores are using it. This helps you decide whether it’s a good fit for your e-commerce business. You can also check the comments for insights from other entrepreneurs who have used the template. Did they find the theme easy to customize? Are they in your industry, and found the theme a good fit? Scan the comments sections for potentially helpful insights. There are plenty of customization options built-in to the themes. But if you know your way around HTML and CSS, you can customize Shopify themes further. Liquid is the template language powering the e-commerce platform’s themes. It’s open source so you, or a web designer, can easily build themes. If you need to hire a web designer, Shopify has a list of providers you can contact. Follow Ask Jane’s YouTube channel where she shares step-by-step guidance on growing a successful Shopify store. Jane — a Shopify employee — launched her own store last year, which made over $88,000. Now that you’ve built an appealing Shopify store, you need to make sure your potential customers can find it during their online search. Each day, customers are looking for products online and to rank in the search engine’s results you must put basic search engine optimization (SEO) in place. This is where Shopify’s built-in features really shine. Shopify offers plenty of opportunities to add keywords relevant to your e-commerce business. Before you do this, you must conduct your own keyword research. New to keyword research and not sure where to start? Google’s AdWords Keyword Planner is a thorough and free keyword research tool you can try. Once you’ve refined the keywords you want your e-commerce site to rank for, go ahead and add your keywords to your Shopify store. We will discuss some of the key points below. As an example, we’ll go through the steps for optimizing your meta description for search engines. A meta description is the text under a page title in a search result. Get your products found in the search engines by optimizing your meta titles and meta descriptions in Shopify to include your main keyword for each page. Keep your meta description under 150 characters, and make sure each page’s meta description is unique. Pay special attention to avoiding duplicate content. Duplicate content could be the result of sites trying to manipulate the search engines to win more traffic. To avoid penalizing small business owners who might have the same product descriptions on different pages, auto-generated canonical tags are added to the pages of your Shopify store. This is where Shopify will take care of a lot of the more technical SEO features for you. To further package your unique offering, include thoughtful product descriptions. Once you’ve added your keywords, add your sitemap.xml to Google Search Console (formerly called Google Webmaster Tools). This means your site can be indexed and included in the search engine’s crawl when it responds to online searchers’ requests. Shopify’s help section has detailed articles and video tutorials on finding your sitemap and adding it to Google’s Search Console. There are so many reasons faster site speeds are better for your e-commerce store. Faster response times are directly linked to higher sales volumes. Speed also influences your search engine ranking, so faster e-commerce sites will appear higher in customers’ online search. In summer of 2018 Google also released its “Speed Update” which affects mobile search listings of sites that are slow performers. Don’t be one of them. Use a free tool like Google Page Speed Tool to see how you can improve your online store’s performance. Tip: Free images from sites like Unsplash are popular, but beware. They’re usually very large files. These will significantly slow your site down. Be sure to compress images via a tool like tinyPNG before uploading. Optimizing your Shopify store for SEO is not difficult. For more tips, Explore this straightforward guidance from Shopify, complete with downloadable guide, and you’ll be well on your way to success. A landing page is the first thing a customer sees when they reach your website. When you create marketing campaigns through email marketing or a Google AdWords campaign, you can build beautiful landing pages for your Shopify store. If you have never built a landing page before, the Shopify app store has several apps you can integrate. You can put together a landing page with software like MailChimp. Landing Page Builder is also an app available on the Shopify app store. It is easy to install and provides over 50 templates. The user interface is a drag and drop builder. You can also customize the design and develop a unique creation from scratch. Social media channels are a great way to drive sales for your e-commerce business. In its own analysis, Shopify found Facebook was the source of a third of all social media sales on the e-commerce platform. One of the easiest ways to get started is to install a Facebook Pixel. A Facebook Pixel is a piece of code you install on your website. It records valuable data you can use to better target your ads and reach customers who’ve already shown interest in your products. Show targeted ads to customers who have already visited your website. For example, if a customer has added a product to their wishlist in your store, your ad can display that product as a Facebook ad. Facebook ads have powerful targeting capability and the level of detail you want to include is up to you. You can also create lookalike audiences. These are audiences who are similar to your existing customers in terms of interests and demographics (based on Facebook’s data.). Because they share characteristics with your existing audience, it’s more likely they’d show interest in your products. 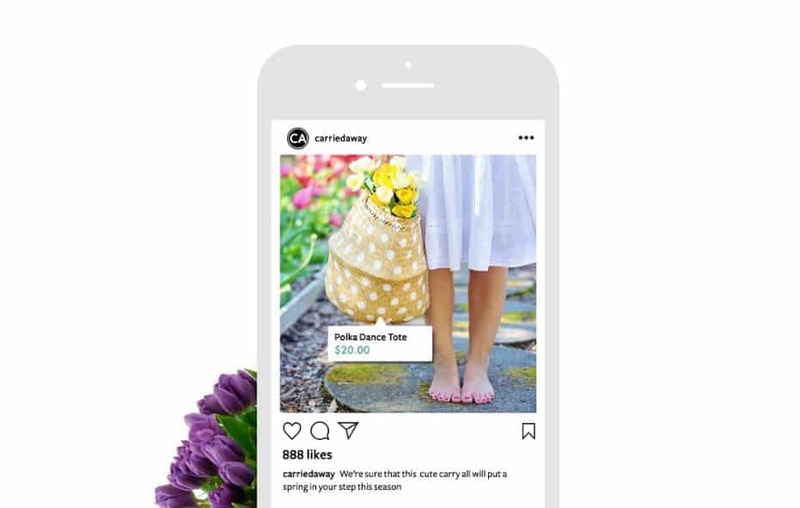 While Facebook dominates the stats for driving traffic to e-commerce sites, Instagram is another powerful sales-generating tool – especially if you know your audience is active on the channel. Facebook has more users than Instagram but research finds Instagram boasts higher engagement. By integrating Instagram, you can turn ordinary posts into detailed ads. A cool feature is the price of a product displaying on the image. These product price tags are great functionality for a visual medium like Instagram. This feature is only available in selected countries. If you’re new to social media marketing and e-commerce, there’s a wealth of easy to understand tutorials and articles to help you along. You can also visit the app store and get a tool like Kit to handle Facebook ads. Apps like Kit help you create Facebook and Instagram ads. 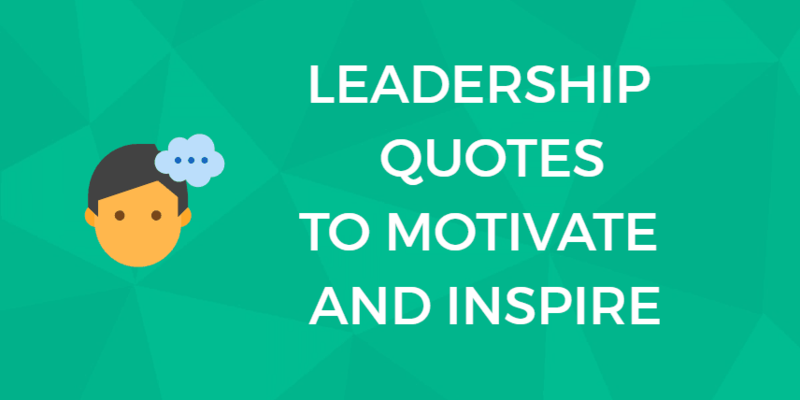 Don’t forget to stoke your inspiration. The Shopify YouTube channel features stories about successful store owners. You know you have a great product, but you also know the competition is stiff. E-commerce stores across the world are competing for potential customers. A great content strategy can set you apart from other online stories. Publish helpful content relevant to your customers on your blog. Blogging about your products – and industry – establish you as an expert in your niche. You don’t need to see each blog post as a sales pitch. Rather focus on delivering helpful and practical content. When you follow this playbook, you’re also creating content worth sharing on social, creating another way to drive traffic back to your blog – and Shopify store. To generate content ideas, think of the most common customer questions about your products and industries. You can also visit industry forums for inspiration. When it comes to post length, try to aim for pieces longer than 500 words. Not only are those articles likely to be more helpful, longer content also tends to rank higher in the search engine results. Shopify’s help section has step-by-step instructions on how to add blog posts, and the interface is user-friendly. If you need help with professional photographs to include, you can find high-quality images on Shopify’s Burst portal, pictured below. As a small business owner, blogging and social media might not be your first priority. You’re going to be focused on running your business. Posting regular content on these channels can help you generate regular, qualified leads to your site. A good way to stay consistent on these channels is to schedule your posts. You could set aside a few hours a week and create your content in bulk. Images and video will help take your content to the next level. We know content with images and videos get higher engagement and more shares on social media. Shopify has a built-in toolbox to let you create stunning visuals to appeal to your customers. Use Shopify’s Image Editor to resize images of products in your store and improve them so they look more enticing to shoppers. When you are happy with the edits you have made, click “Apply” to save them. Another good practice is to make sure all your images have detailed ALT tags. You can get creative and add product videos. Search engines and social media channels favor videos. This means your content gets increased visibility. Consider adding how-to videos. These also have practical value for your customers. Don’t worry if you don’t have shooting experience. Like with most features, Shopify’s app stores is a great portal for new businesses who want to use tech features to maximize their online store. Browse the app store for the right video tool. Positive customer reviews are a vital marketing tool, as studies show they influence sales. When you’re starting your e-commerce store, identify customers who are likely to leave positive reviews. Reach out and ask whether they’d considering leaving a review. Customer reviews have a big effect on buyers because they are an important form of social proof. Yotpo claims to generate up to 3x more customer content (site and product reviews, photos) than its competitors. The app has a free and paid version. The free option is designed for small businesses and comes with review request emails and options to display star ratings. A review tab and star rating can help increase conversion rates. 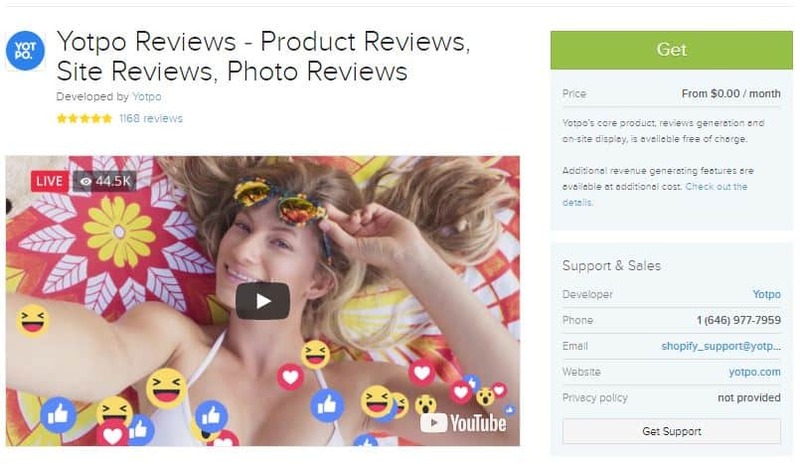 TIP: Buy the premium version for extra features including sharing reviews on your social account, display your star ratings in AdWords ads, Community Q&A feature, provide coupons in return for reviews, post replies to reviews, and more. Another way to add reviews to your e-commerce store is to send your product to a thought leader in your industry, or a potential customer with a large social media following and ask them to leave a product review. This approach can also help you reach more potential customers – tapping into the reviewer’s large following and authority in your industry. Apart from potentially increasing your reach, adding product reviews can improve your SEO. By including product reviews on your product pages, your pages stand a better chance of ranking in search engines. This is especially true after you’ve identified and added your specific keywords. This Shopify store owner has ADHD and is a dropout. He made over $20 million last year. What are you waiting for? Cart abandonment rates are notoriously high in the online marketplace. Shopify suggests ensuring your checking process and account creation options are easy and quick to reduce the number of customers abandoning their carts. Most top e-commerce platforms will help you reduce cart abandons and Shopify helps you automate the process. But sometimes your customers might get distracted and simply forget about their purchases. Shopify lets you configure recovery emails to remind customers about their carts. Recart is another app you can find in the Shopify store. Recart claims 79% of all carts are abandoned, and promises to help businesses reduce this rate to increase revenue. When using Recart, an abandoned cart triggers a set of automated campaigns. This includes an email campaign and you also have the option to enable push notifications to customers’ computers and phones. Upselling products is a sure way to boost sales for your e-commerce store. After all, existing customers are far easier to pitch to: they already know and trust your brand. Upsell products in your Shopify store to make more sales from existing customers. Set it up to automatically recommend similar products to shoppers when they add a product to their carts. When customers get ready to check out, the app will recommend products to customers. How does figure out which products to recommend? You configure a series of offers, depending on a combination of products or even which country the customer is ordering from. In-Cart Upsell comes with an offer builder, and you put together a range of different types of offers. The app will continue to monitor the response to your offers to determine the most popular combinations. The built-in analytics tells which offers were accepted the most and the daily revenue it generated for your online store. Once you’ve got all the basics in place, you can start to refine your offering. The top e-commerce sites are always testing to find the price and products that best serve their market. Split testing can help achieve a range of business goals. The Quant app promises to raise revenue by 30% in three minutes using the A/B price test. By picking price range for any products in your Shopify store, the app manages prices in your selected range. After around 200 sales over 28 days, you’ll see the collected data. The app will compare the growth of your total margin at both price points. Split testing product pricing is crucial, but pricing is only one component of your complete sales strategy. You should also be testing your calls to action and other elements on your page. Calls to action are very simple, they’re instructions to your audience to take an action. This could be to download an ebook or call your business for more information. Some stores observe a spike in click-through rates on their ads even with slight changes in their wording. Convert’s software kit can perform several different tests including URL tests and personalization tests. Optmizely is a more affordable Shopify app, and you get a free 7-day trial. If you’re new to A/B testing and you’d like to start experimenting with the concept, Google Analytics Content Research is a basic, free tool. While its feature might not be advanced, it’s a good tool to start with. Find a full guide to how to run a test here, or hire a conversion rate specialist to run the tests for you. While your storefront must be professionally presented to the world, you need to make sure the back-end is well-organized to improve your own productivity. Shopify’s system makes it easy for you to categorize and find content. Tags can save you a lot of time by labeling orders, customers, products, and more. Once you have tags in place, you can filter and search faster. Apart from great built-in features, Shopify has free tools to help you along your e-commerce journey. Some of these are aimed at entrepreneurs who are just starting out. Other free tools include a logo and slogan generator. While managing your store you might need to import large volumes of data into your Shopify store. Use CSV (Comma Separated Values) files to import and export products, orders, and more to save time with large tasks. You can create, edit, and export CSV files in a spreadsheet app like Excel or Google Sheets. Use these to edit details of your products and import them directly into your store. This might be useful if you are switching to Shopify from another platform. You might also need to import customer details from one of your marketing databases for a campaign. NOTE: The maximum file size is 15 MB. Shopify video: Some very good advice on how to maintain motivation through grind phases where you’re not seeing results. Shipping is a critical aspect of your online store. You’ll need to research to find the best shipping strategy for your e-commerce business. And once in place, regular monitoring and evaluation will help you determine if it’s the right fit for you. Along with tools to help entrepreneurs generate logos and business cards, Shopify’s package of free business tools includes a shipping label generator. Keeping track of your shipping and making sure customers receive their products on time is an important part of delivering good customer service. In the event of delays, you need to be aware of this, take the necessary action and communicate to your customer. More than 35,000 Shopify entrepreneurs have installed the app to track their shipping. It’s free below 100 shipments per month. An important aspect of keeping your business in order is a proper invoicing system. Added to that, you should also provide customers with professional-looking invoices, preferably aligned with your brand. Shopify’s free invoice lets you put together branded invoices in a matter of minutes. Bulk Actions help you carry out multiple actions all at once, saving you time. You might need to complete bulk actions to fulfill large orders or publish a large volume of products. There are many bulk actions to choose from, with different options available depending on the Admin page you are on. The following areas are to do with your online store’s content. TIP: Where the shortcuts involve pressing multiple keys, press these in the order that they are displayed from left to right. If you use Shopify to sell products online, make sure you are getting the most out of it by taking advantage of all the above tips and enjoy more success with your store today. Not yet Shopify user? Be sure to read our full review of Shopify and how it compares with BigCommerce. Here are a few commonly asked questions about succeeding with Shopify. Be sure to reach out to us if you have questions that aren’t answered in this review. We’d be happy to research them for you. There’s no one-size-fits-all answer here because many circumstances come into play. First, it’s important to realize that there are already 600,000+ Shopify stores out there, almost 400 million Tumblr blogs, hundreds of millions of WordPress posts, and well, you get the idea. There’s no “build it and they will come” fairy dust available. But there are solid tactics that do work, and we’ve listed a number of them in this post. Most people give up early because they have unrealistic expectations of immediate or easy success. Online success — whether in blogging or in online sales — is a marathon endeavor, not a sprint. Yes. Visit the Exchange, a marketplace of existing online Shopify stores that are for sale. Familiarize yourself with how the Exchange works. You can buy starter stores, established businesses, print on demand shops, dropshipping shops and more. There’s a wide range of prices and revenue to choose from. You can sort stores by price, age, and business location. The cheapest stores are under $100 and the most expensive are over $10,000. The quickest way is to use this tool What Store Theme. Just pop in the URL of the store you like and you’ll discover the theme. A button will also appear to take you directly to the theme’s page where you can buy it. Note: If you enter an incorrect URL into What Store Theme, a message will display a false negative: “Not a Shopify store.” Check your URL to make sure it’s accurate. Find out more about these Shopify free tools here and sign up for notifications of releases of new free tools. Next: CS-Cart Review: Tons of E-Commerce Features, But Can You Scale?